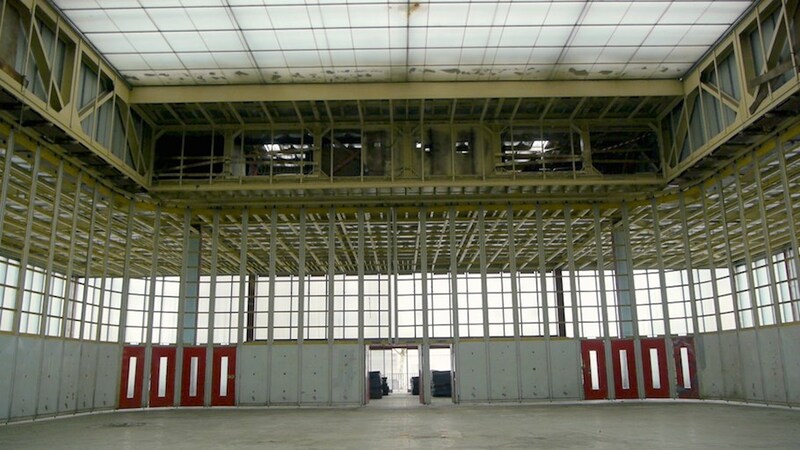 Since 2006, the collective Art of Failure has been creating a series of experiences that create a heightened perception of architecture by setting unusual buildings vibrating. The materials and structures activated by infra-bass vibrations reveal resonance frequencies and the physicality and acoustic qualities of the buildings chosen. A multimedia mechanism that involves sound, visuals and architecture, RESONANT ARCHITECTURE establishes a dialogue between architecture, the spatial components and geographical context. 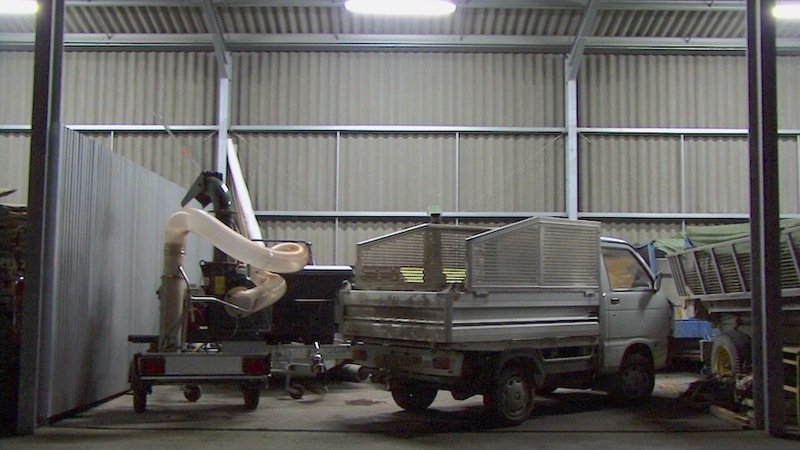 By 2010, as part of an international building exhibition, the largest lakeland landscape in Europe is to be created in eastern Germany, using former lignite mining excavations. 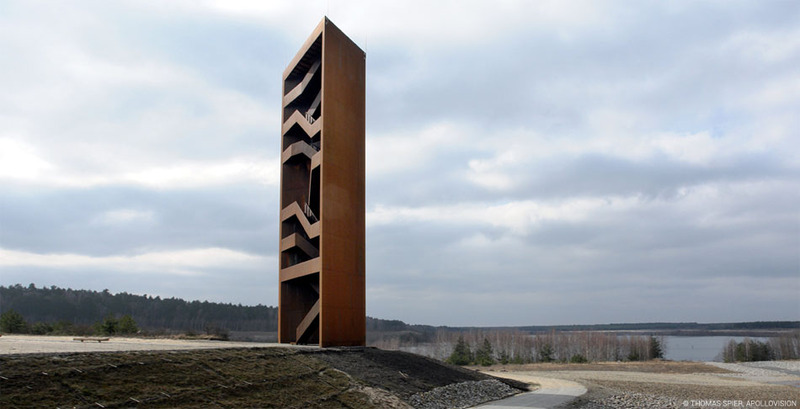 Built to a triangular plan, this 30-metre-high steel viewing tower has been erected as a symbol of the transformation of the region. The two closed faces of the structure consist of hollow walls with cross bracing. 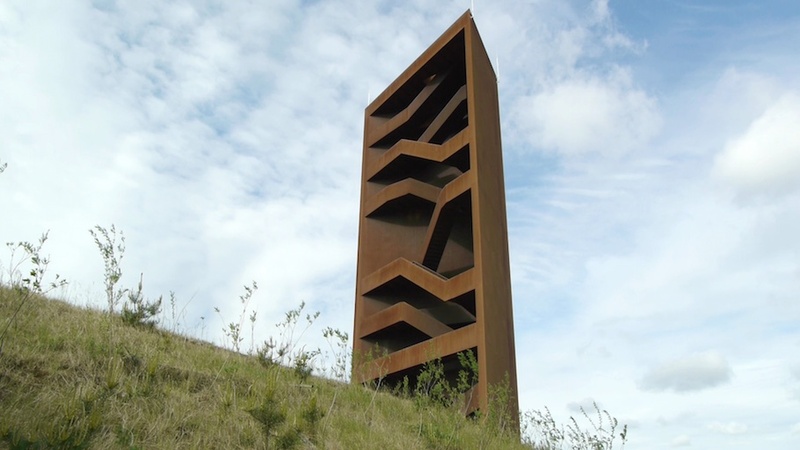 The open third side reveals a staircase sculpture – with nine offset flights of stairs and eight landings – leading up to a viewing platform at the top. 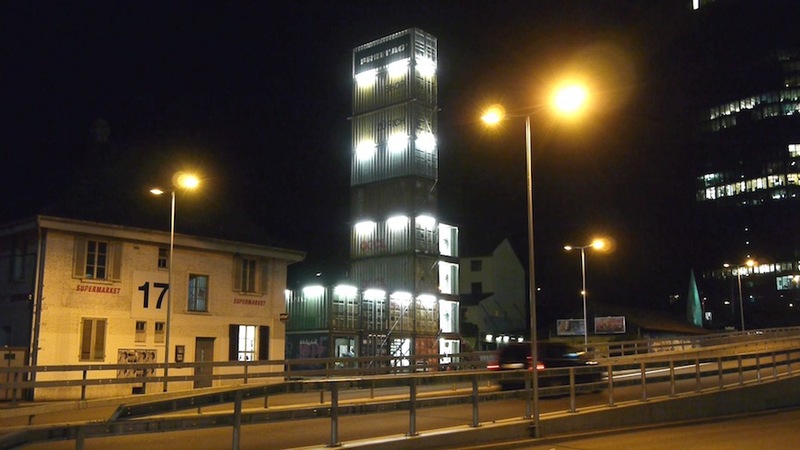 Seventeen freight containers piled one on top of the other rise up into the sky 85 feet above the ground in the industrial Zürich West district. From the roof of the recycling skyscraper, one can enjoy a bird's eye view of the former industrial district. Far below at ground level, new life is pulsating behind former factory walls. In 1935, the Maison du Peuple meets an architectural complex with multiple functions: market, local union offices, conference room and theater. The building was built by Jean Prouvé, Marcel Lods, Eugène Beaudouin and Vladimir Bodiansky. The innovation of its construction, with a steel frame and curtain wall panels prefabricated, combined with the versatility of spaces through the mechanisms of floor, wall and roofing services is until today a great inspiration to architects. The duo of anthracite monoliths that make up the agricultural center of Chateau Chasse-Spleen by Lanoire et Courrian, installed right in the middle of a large area of vineyards, are set up to resonate like two monumental soundboards.